When users visit a complex site, they will immediately find the search box to reach he/she ultimate goals. 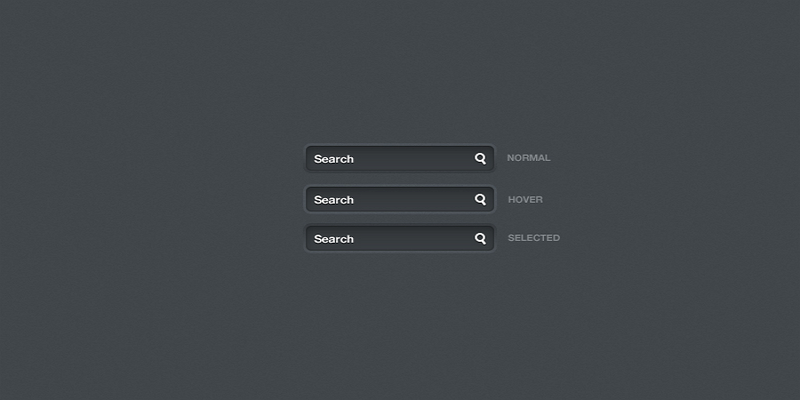 This article shared some skills to design a search box. When you visit a page to look for the content you need, but you can’t find the search box to perform the action, isn’t it frustrating? The search box is usually the most commonly used design element in a website and a good search box will make a site user-friendly, when users visit a relatively complex site, they will immediately find the search box to help them to reach he/she ultimate goals. This article shared some useful tips and principles to design a search box that user will please, hope this article can be useful and helpful to you. The search box is a commonly used interactive component，especially, on websites and APPs. The core of search box is to extract exact content from massive amounts of information accurately, such as music libraries, e-commerce sites and etc. The results are displayed immediately on the user interface, no buttons are required, the magnifying glass is only displayed as an icon, and when user enter the keywords, it can search immediately. A) There are many objects; Like we need to find a particular icon in 3000 icons from the Mockplus icon library. B) The target object is not in the same location; It’s like you need to find a type of file on the disk. C) The search data is hard to find; Like you want to search for a specific character in a long text. 2. The specific content needs to be found; for example, we search for a certain characteristic of the goods in Amazon. 3. The required results can not be found in 5 seconds. 3. The function should be valid, the results should be accurate, and the search speed should be as fast as possible. 4. When performing the instant search, capitalize the first letter; while performing the regular search, lowercasing the first letter. We can find that design a search box needs to follow the design rules and interactive principle, and every detail of the improvement can make a better user experience. A good user experience website not only can please the users but also can benefit from it.